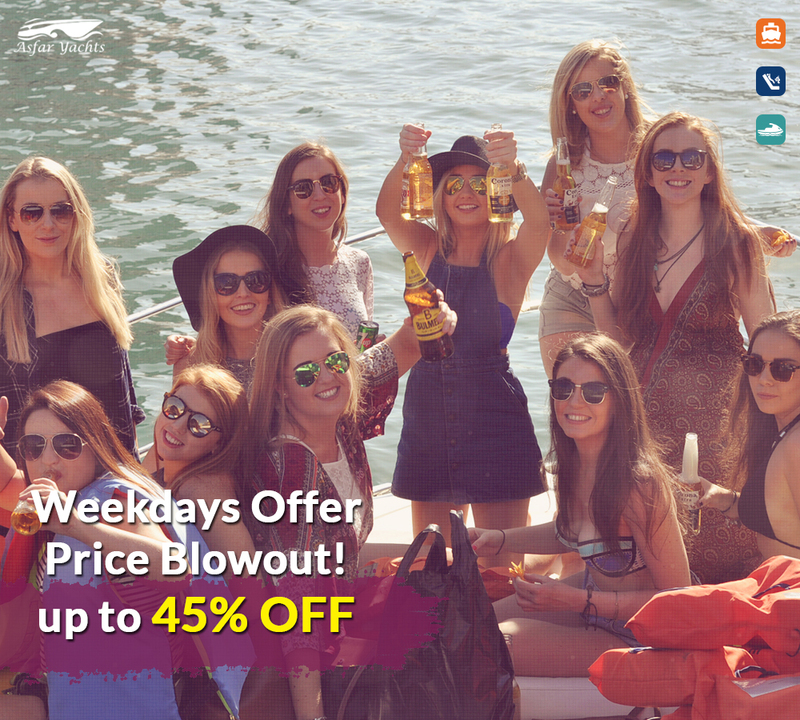 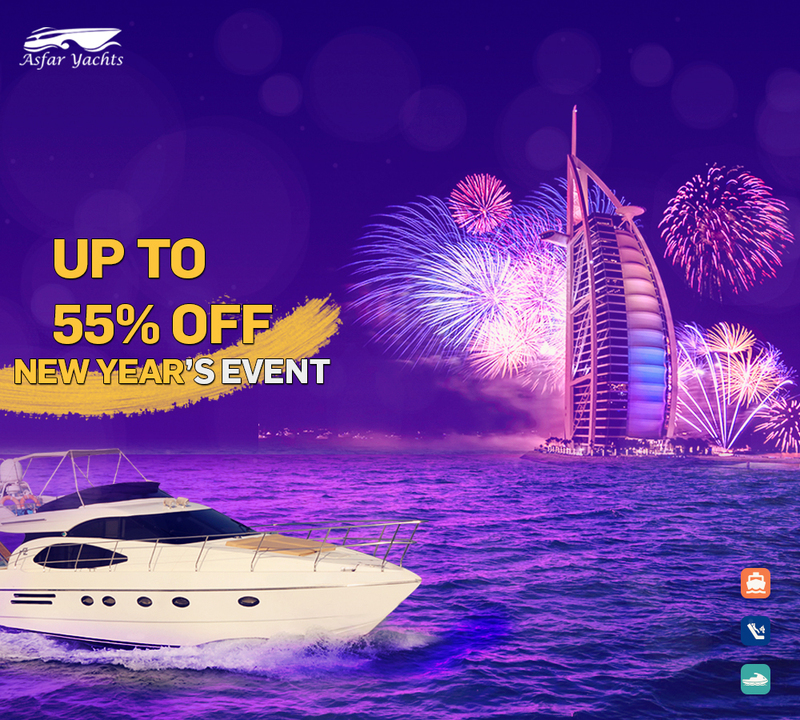 Book Your Yacht Now & Get 25% OFF . 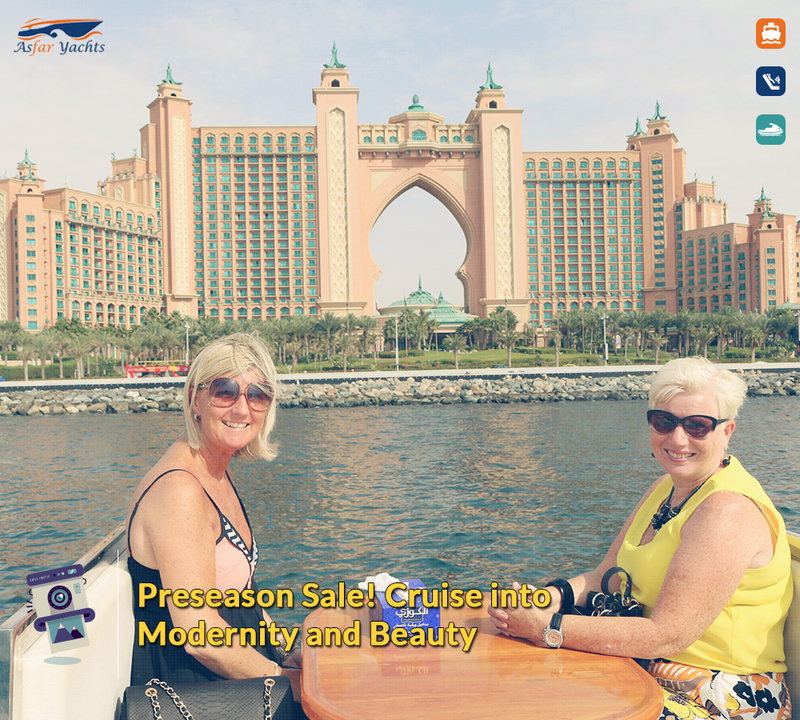 Being aboard an opulent yacht and viewing the most exotic landmarks that combine nature with modern life are not yet that feature of lords and kings. 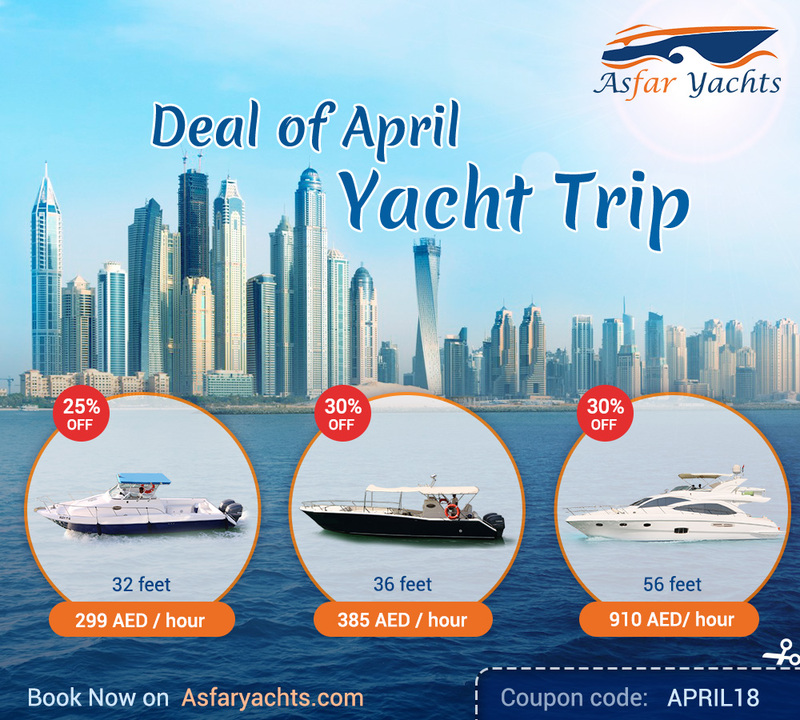 Asfar Yachts boasts of offering the most luxurious yachts with a special discount. 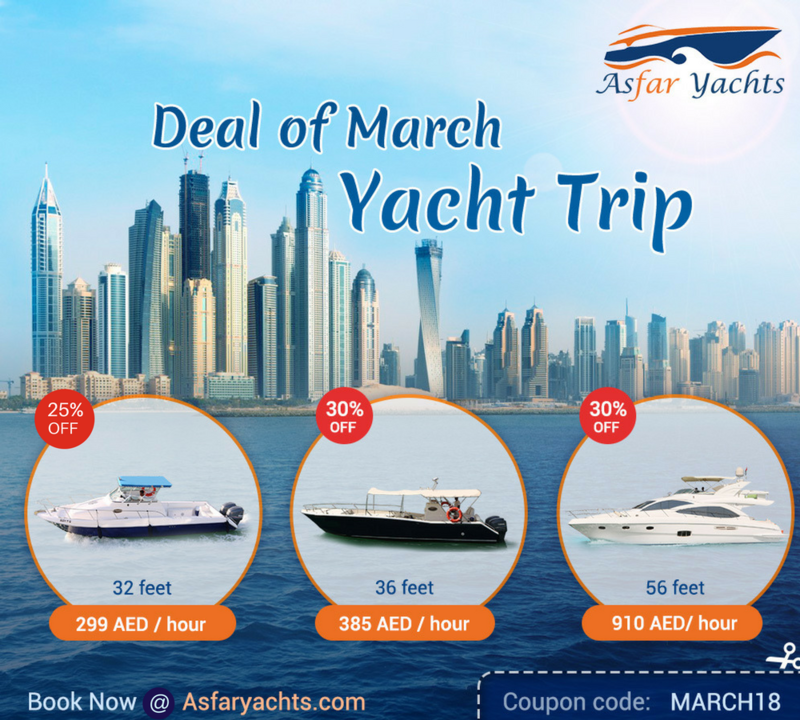 Now and until August 31, 2018, get 25% off booking Asfar One 32ft yacht (up to 10 people) or Sunrise 52ft yacht (up to 20 people). 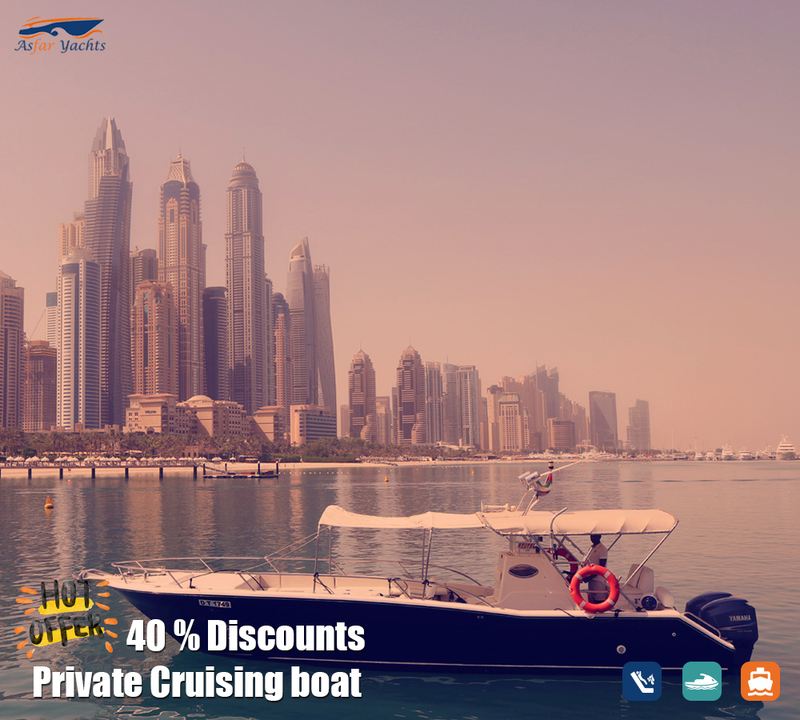 Grab the deal and have your friends or family members together in unparalleled experience of cruise to glide through the waves. 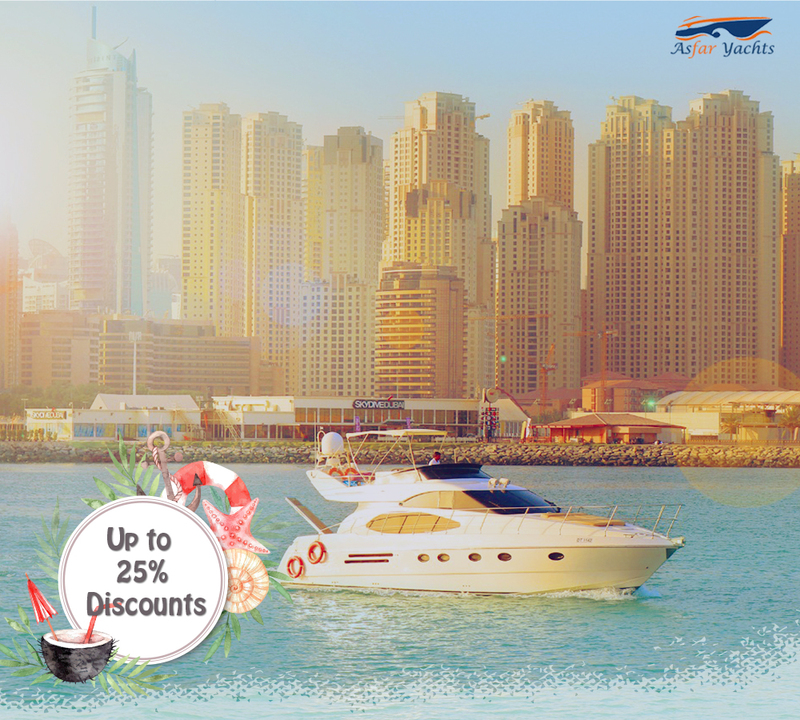 The discount is available only minimum 2 hours of reservation. 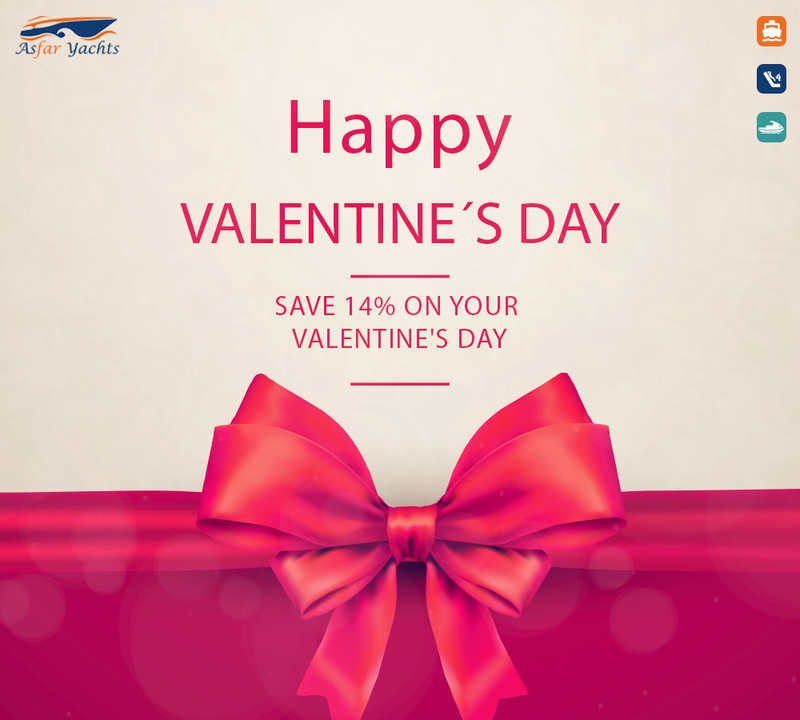 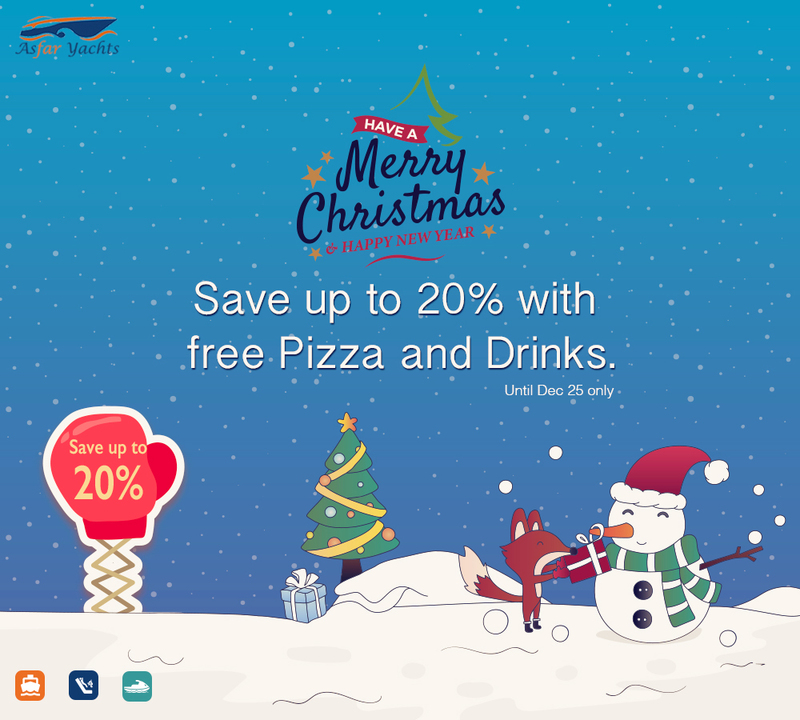 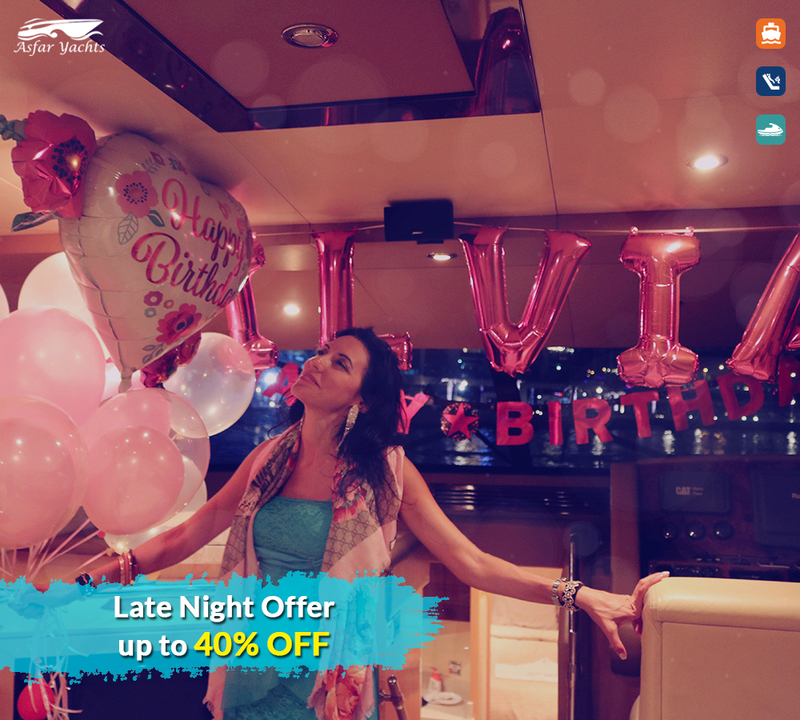 The offer applies only to those who book online. 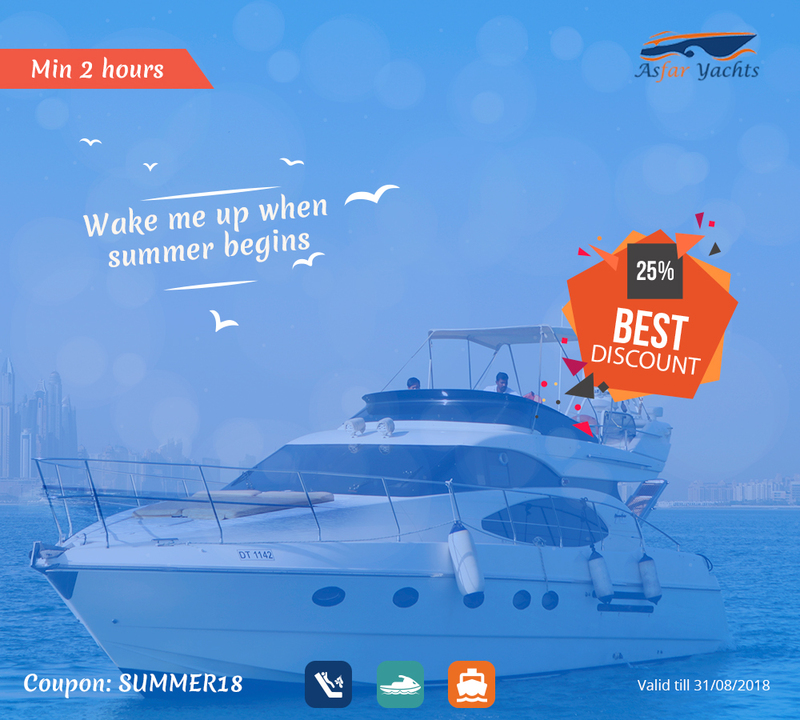 Book Your Yacht Now & Get 30% OFF . 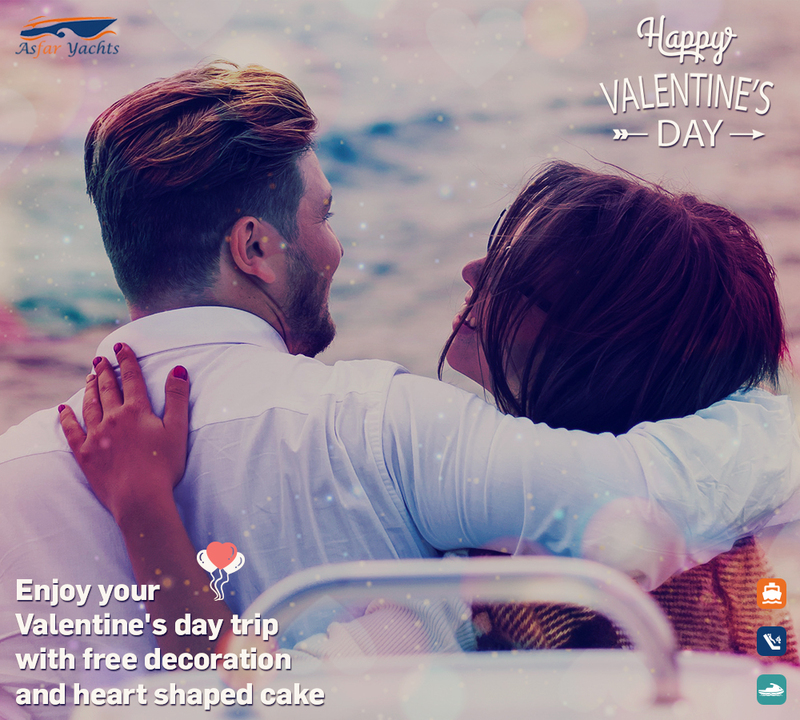 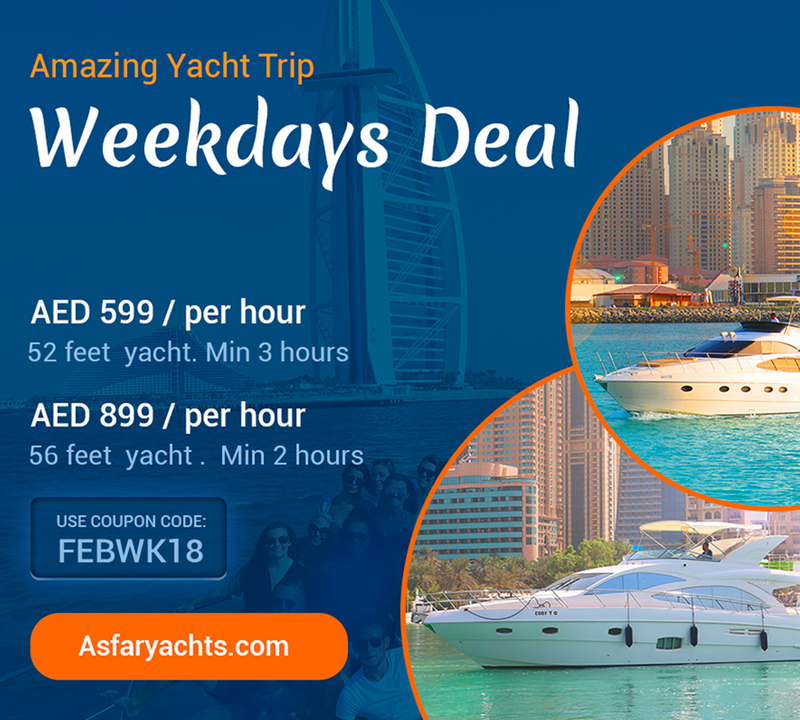 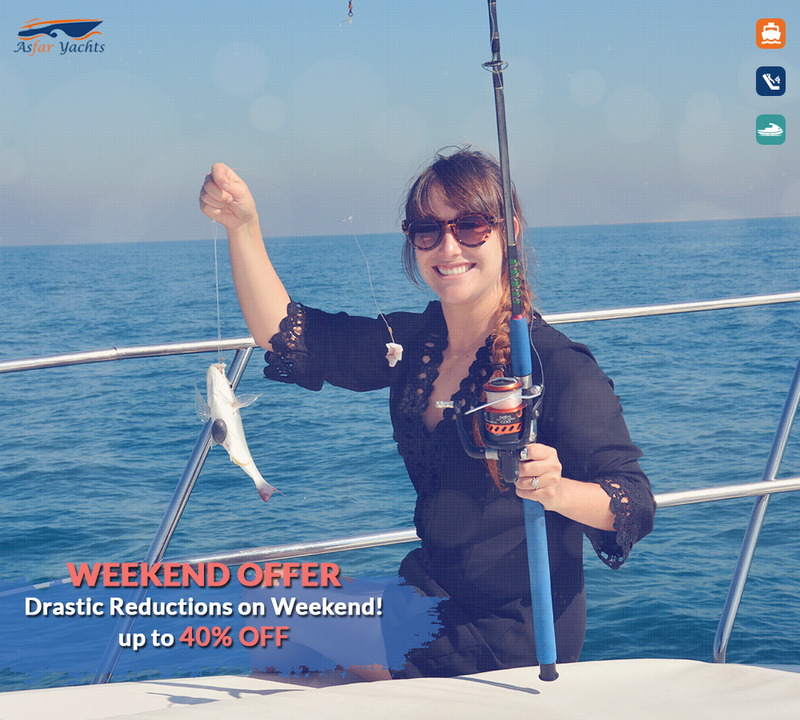 Week Days Deals on Asfar3 56FT & 52 Ft Sunrise Yacht Ride! 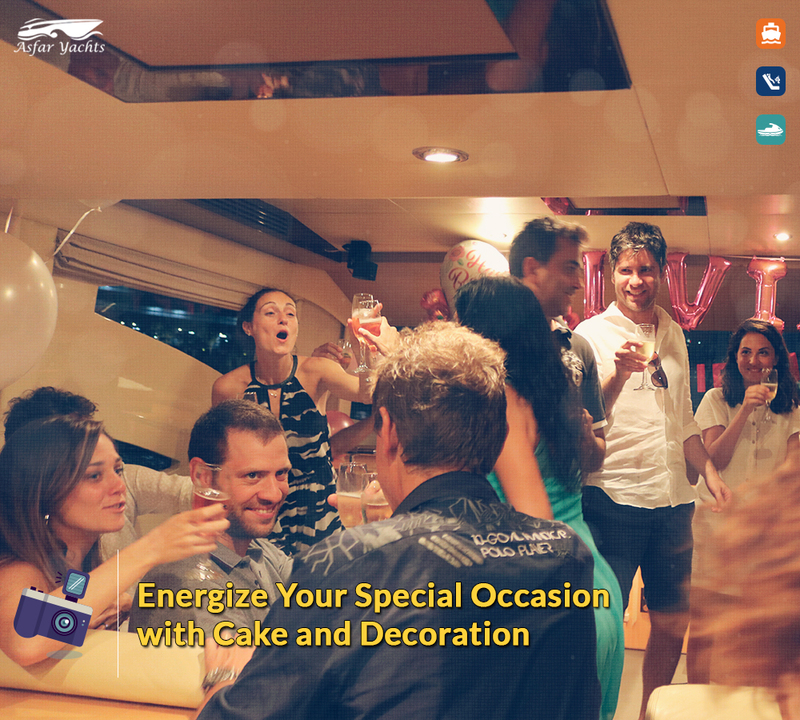 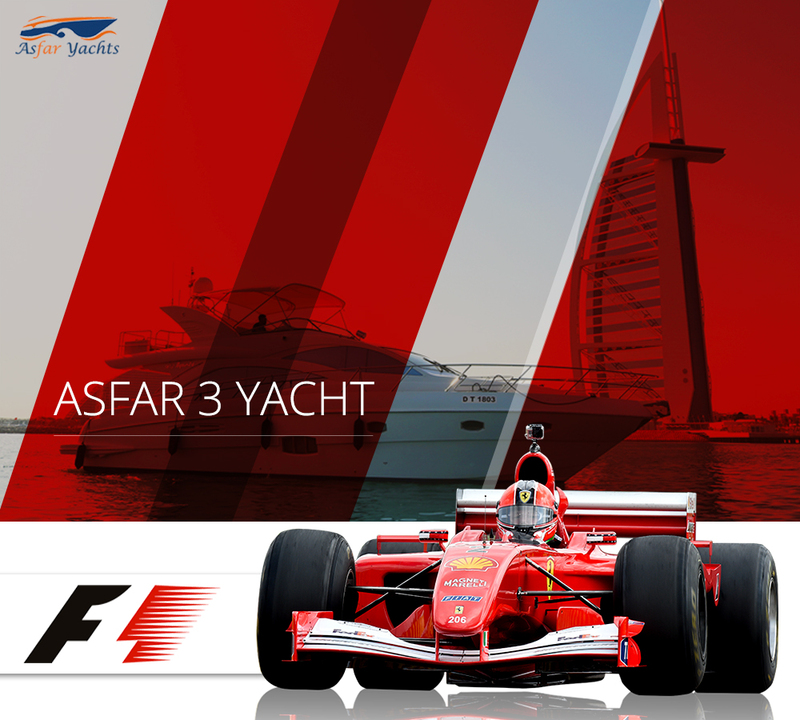 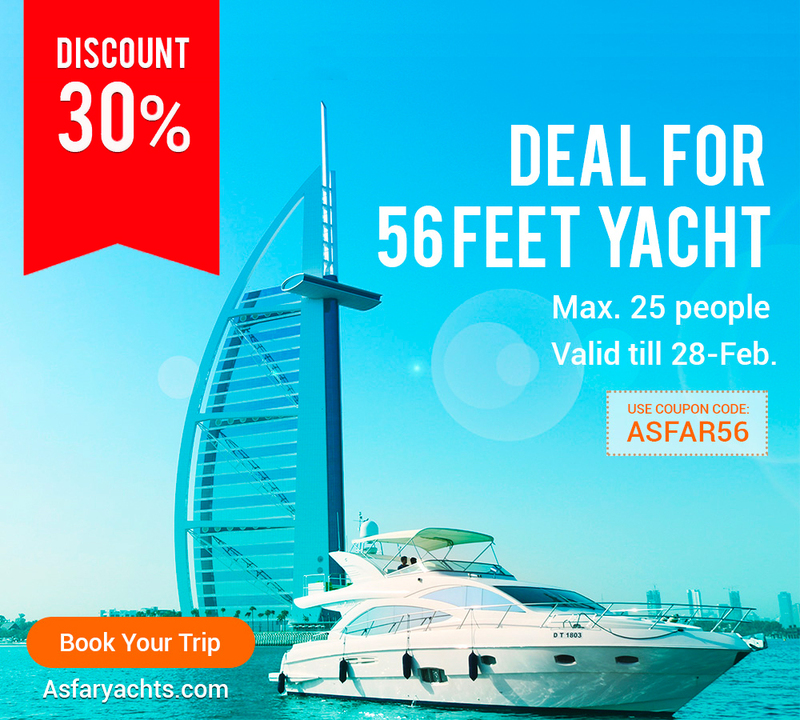 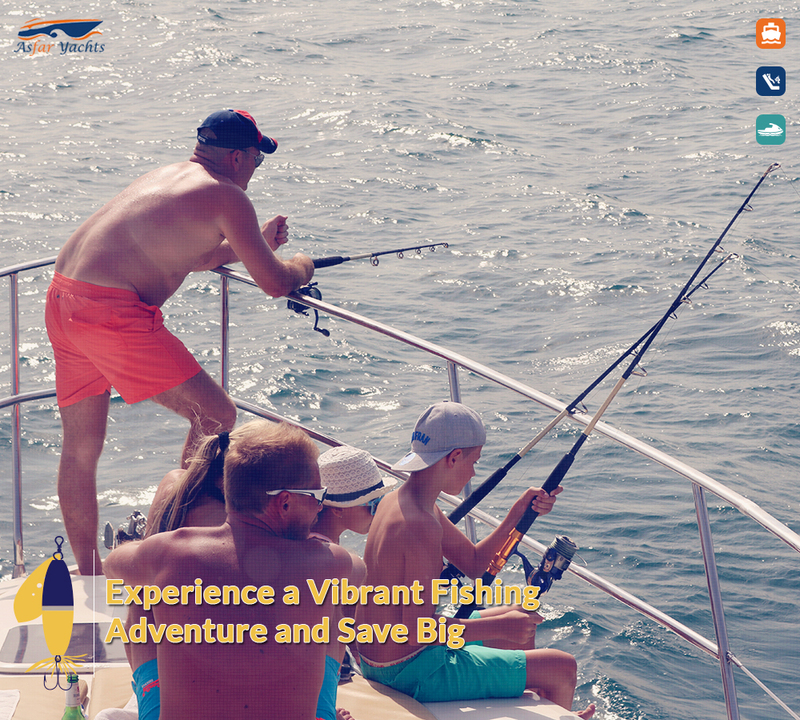 30% Discount on Asfar3 56FT Yacht Ride! 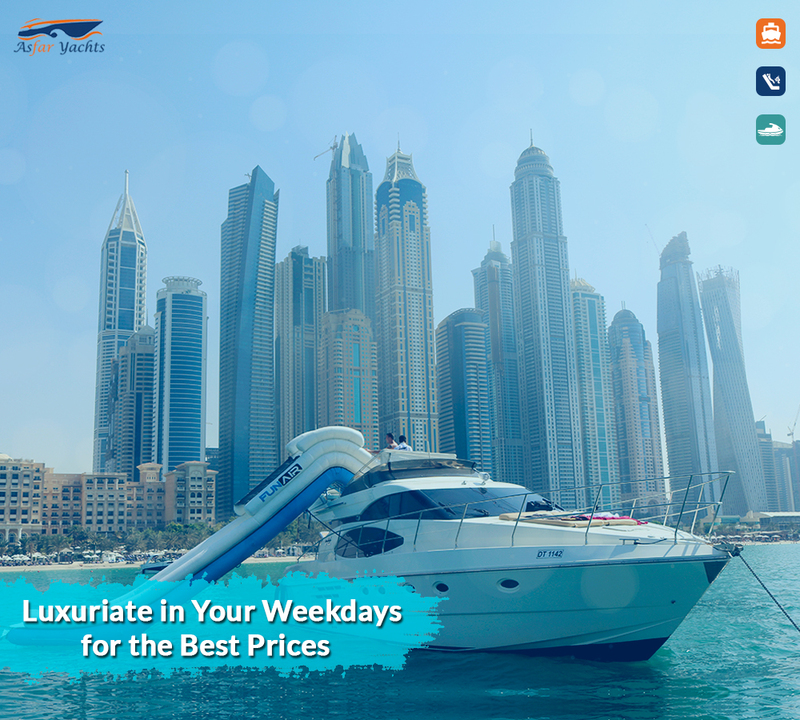 Water Slides that Make Your Charter Even More Amazing! 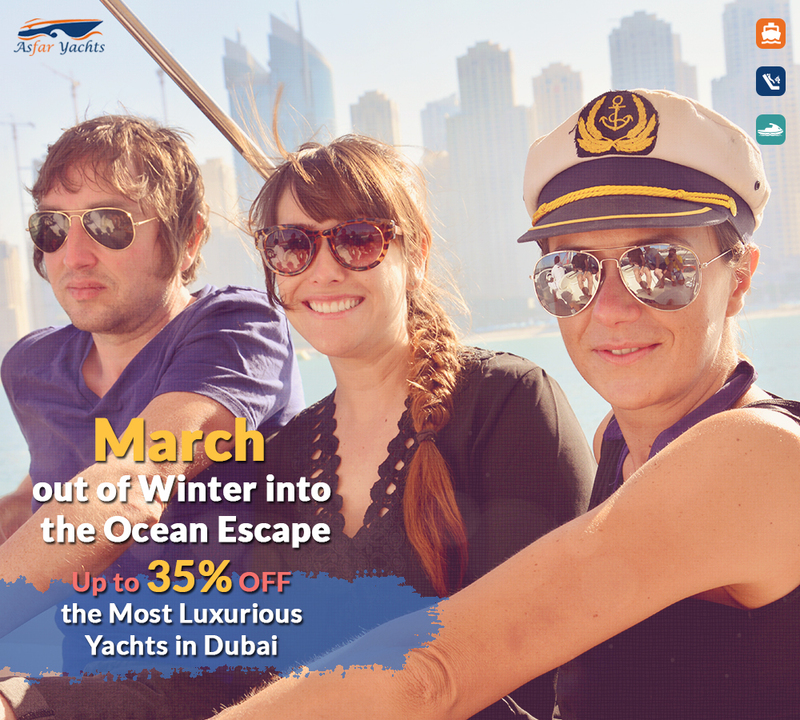 Book 3 hour Cruise and Get additional 1 More Hour Free on 32, 36, 52 Ft Yachts! 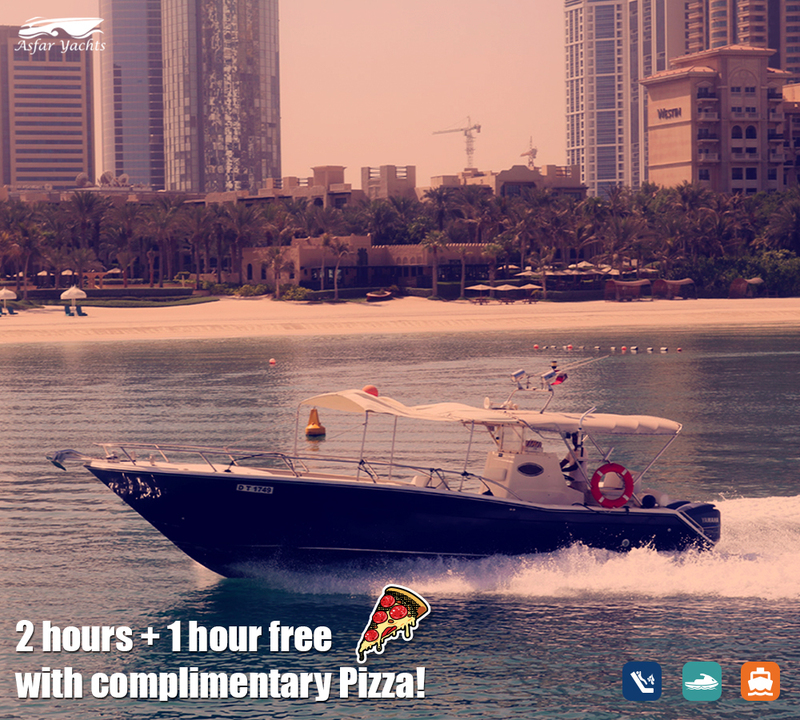 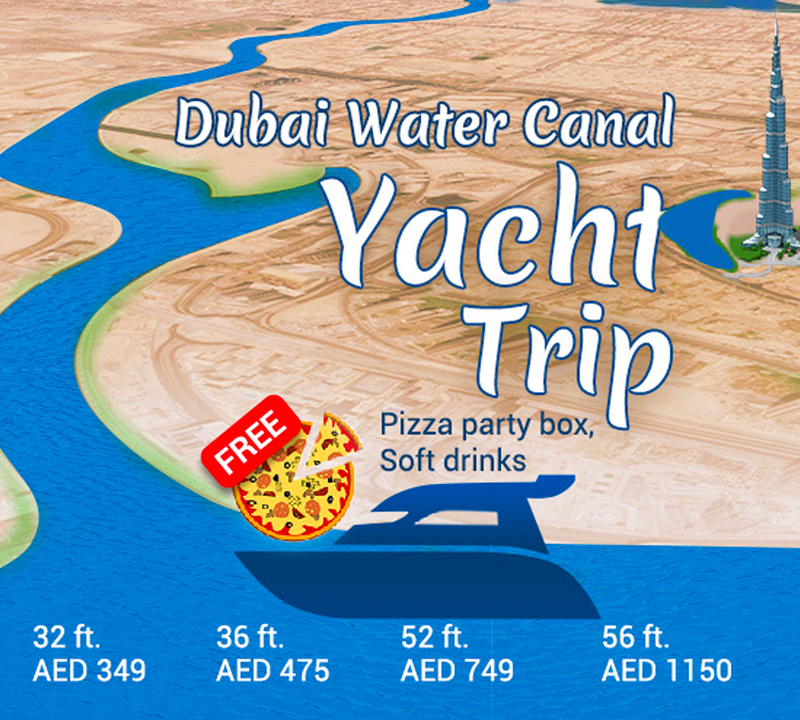 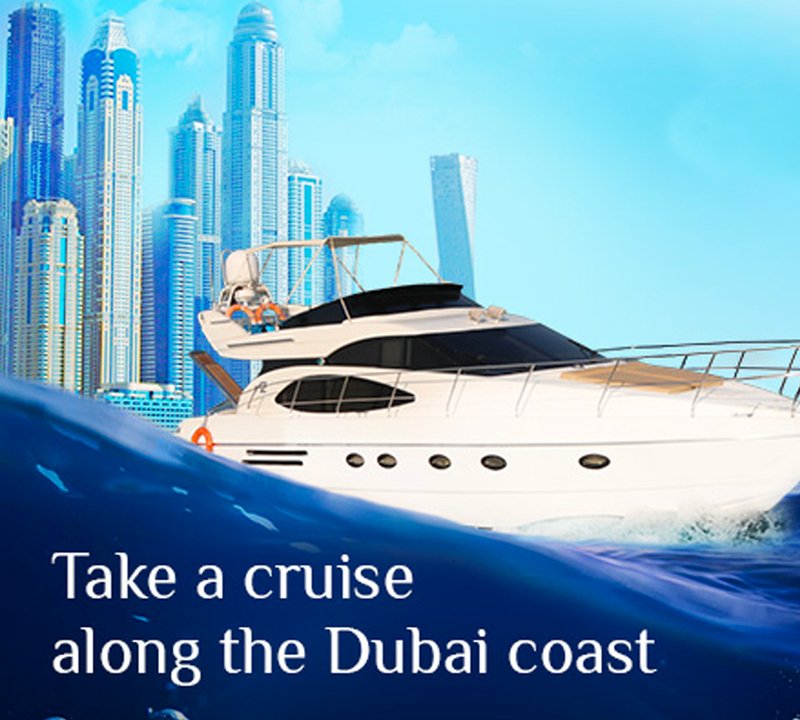 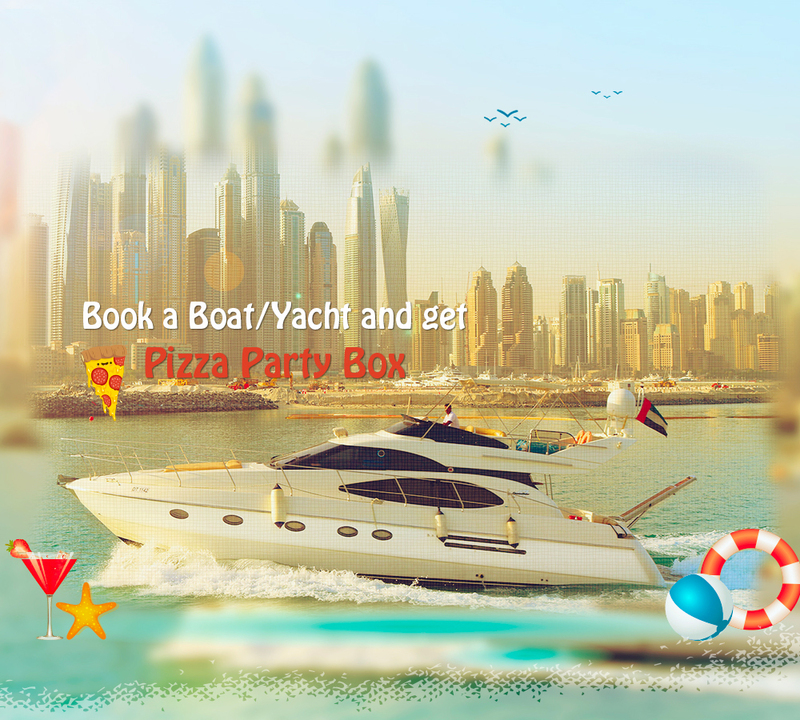 Dubai Canal Tours Offer with free Party Box of Pizza Hut on 32, 36, 52 Ft Yachts!